After talking about our new Xanadu deed, you’d think that I would be busy working on that. But nope, other than some terraforming, I haven’t even logged into Wurm for 2 weeks now. In a fit of nostalgia, I decided to download the Neverwinter Nights: Diamond Edition that’s been sitting on my GOG account for months. Then I grabbed some of my favorite modules and have been playing it ever since. You see, way back in 2003, I bought the gold edition of Neverwinter Nights (NWN) when I saw it in an EB Games. (Back in the days when no one had heard of “digital distribution”. How did we ever survive back then?) I read the back of the box and it seemed like a good game, so I figured why not? Well, it wasn’t just a good game, it was a FANTASTIC game. I became enraptured by the amazing story telling in the original campaign and the expansion it came with, Shadows of Undrentide. When Hordes of the Underdark and Kingmaker came out, I bought them and devoured them as well. When those ran out, I found out about player-created modules and downloaded dozens of those as well. I don’t have a record of how many hours I spent in-game but I know that it’s no small number. NWN was my gateway drug into the world of RPGs and, in my opinion, still has some of the best story telling and gameplay of all time. It is one of my favorite games ever. Over a decade later, I still have the original CDs somewhere. When I saw it for sale for a ridiculously low price on GOG, as part of a package that also contained Baldur’s Gate, Icewind Dale, and Planetscape Torment, I had to grab it. But I never really felt like playing it again until two weeks ago. One of the most amazing features of NWN is the dungeon toolset included with it. This allows players to create their own modules, scripts, items, just about anything you can think of. They could then be shared with others to use or play. The most popular place to share your creations was the Neverwinter Vault hosted by IGN. So that’s where I went to grab my two favorite modules from the past: Tales of Arterra and The Aielund Saga. Fate must have been playing in my favor that day because literally the very next day, IGN decided to take down the Vault. There was a workaround you could use to view the pages and still download the files, but it seems that now only the pages are available. Downloading all of the files is no longer possible. It makes me sad to see over a decades’ worth of work from countless players practically disappear like that. A few kind people have set up a new site to host the old files, but I wonder how much they weren’t able to save. Sad happenings aside, the first module I set out to play was Tales of Arterra created by Kevin Chan. It’s actually divided into 2 modules: The Lost and The Awakening. It’s a highly rated adventure with a great plot that has both sober and humorous elements. One of my favorite things about it is that there are three henchmen that you can fight alongside and you don’t have to choose between them, you can have all of them at once. I highly recommend finding them all as well because they all have interesting stories that become interwoven with your own and they also have dialogues between each other in addition to the ones they have with you. You miss out on a lot if you don’t have all three. I don’t want to spoil the story for anyone so I’ll just include the creator’s brief descriptions of the modules and some screenshots I took while playing. The Lost: Your stepfather was slain before your very eyes. Cast out into the world with nothing but the clothes on your back, you journey to the city of Edinburg to find a job, and to find your destiny. The Awakening: You’ve had frequent dreams of the land of Istar. Somehow you know that there lies the answer to the one question you cannot answer: who are you? If you’re interested in playing Tales of Arterra, I’ve uploaded the files to Dropbox so everyone can access them they are now available on the new Neverwinter Vault. And if you don’t have Neverwinter Nights yet? The Diamond Edition (all the expansions) is just $10 on GOG. I mean, it’s a Bioware RPG based on the Forgotten Realms and even without including the player modules, it’s over 100 hours of gameplay. How can you go wrong? Oh wow, that sounds amazing! I’d jump at the chance to play something like that. I am having a go at Tales of Arterra now. I heard this is just as good as The Aielund Saga which I really enjoyed. I don’t know whether you havre already played this or not, but if you haven’t, try Baldur’s Gate 2. 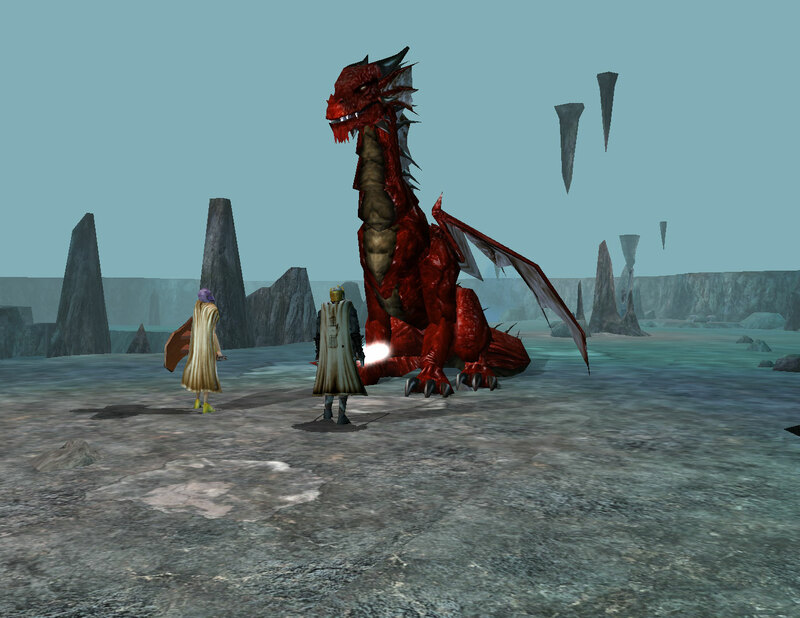 I think it is THE ultimate rpg, especially those who enjoy The Aielund Saga like rpgs. Its the very game that made me a gamer and the reason I play games till this day. You’re not the first person to say I should play BG2. 🙂 I actually own both BG1 and 2 but I just haven’t gotten around to playing them past the intro yet. I think I have to be in the right mood for an RPG and not constantly comparing them to NWN in order for me to give them another go and enjoy them. I just finished this module… Very disappointed. There’s almost zero originality in this module. Not only stories but even music is borrowed from IE games (BG series, IWD series and PS:T). If you have played all IE games prior to playing this module, you’d know what I mean 🙁 I much preferred The Aielund Saga.